Ergonomically one of the most premium office chairs, Trono ll exudes authority and class. The high back chair features premium vinyl upholstery, fixed armrest, multi-lock mechanism and sleek metal chair base. 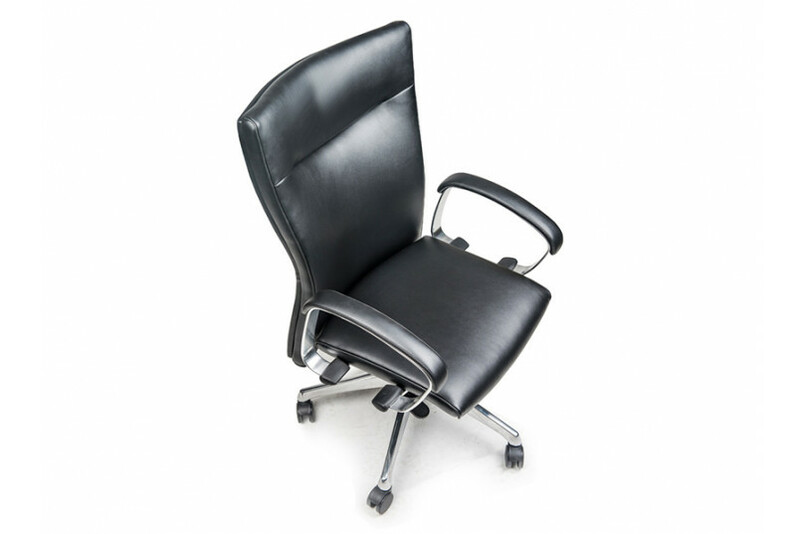 Luxury Lead your way forward in your new office with high back Trono. With its stylish look and comfortable seating, it will instill a sense of hard-earned dignity, every time you leave the office. 26" x 28" Ht. 50" Seat Depth : 24"